In 2008, the English Language Consultancy Center (ELCC) at Kanda University of International Studies and Hiroshima Bunkyo Women’s University established The Bunkyo English Communication Center (BECC). The university sought to establish a ‘Bunkyo Standard’ of ‘Graduate Abilities’ in response to initiatives from the Ministry of Education in Japan regarding ‘Gakushiryoko’. The addition of the Bunkyo English Communication Center to the university’s other departments of Early Childhood Education, Nutrition, Psychology, Welfare and Linguistic represents a major financial and intellectual investment in developing general English proficiency campus wide. The BECC was designed with the goal of establishing a center of excellence in a university without a strong tradition of communication focused language teaching and learning. 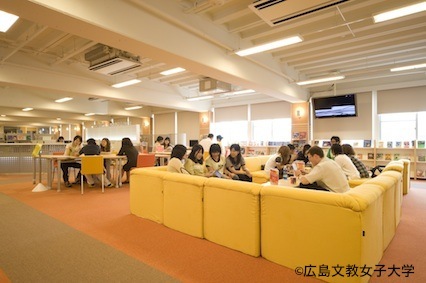 While the BECC initially provided general language learning support for Bunkyo students across all disciplines, in 2009 the University gained approval for the establishment of a new Global Communication Department, which opened in 2010. As a result the BECC now pursues two missions: to support the general English proficiency development of all Bunkyo students, and to support the communication and content courses of the Global Communication Department through providing English skill, communication, and content instruction. In general English lessons at the BECC, the focus is on using language. All students study English for 6 years before University, but many don’t feel comfortable speaking or using English for communication. BECC’s mission is to help learners become basic proficient English users – which means speaking, listening, reading, and writing for communication. In BECC’s task-based curriculum, process is as important as product, i.e., not just learning English, but learning English in English. This combination of content and methodology has been a key aspect of the approach to language teaching since the inception of the Basic English Proficiency Project (BEPP) at Kanda University of International Studies’ English Language Institute in 1989, and remains a core concept of the educational philosophy of the BECC. In accord with another guiding principle – to encourage learners to become more autonomous – the curriculum is structured in such a way that students can extend their learning well beyond the classroom by utilizing the SALC materials and Learning Advisor services available to personalize their learning, and develop important learning skills they can apply in the future. BECC is also responsible for the planning, materials design, and teaching of English communication and skills focused classes for the Global Communication Department. These classes include self-access learning courses, media, reading skills, and writing skills courses. BECC also provides materials design and teaching support to English language content courses related to hospitality, tourism, business communication, and popular culture courses. 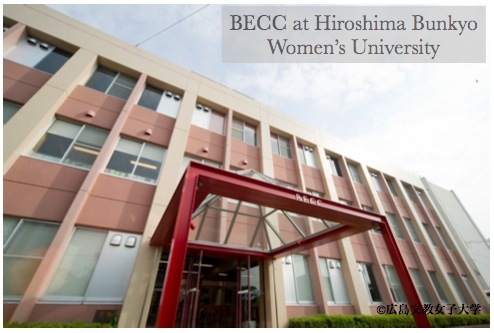 During their four years at Hiroshima Bunkyo Women’s University, students have extensive opportunities to carry out their language learning well beyond the confines of the classroom through the use of the BECC Self Access Learning Center (SALC). The SALC is an English only learning space whose underlying rationale is to provide language practice and learning opportunities to students that are not afforded through classroom interactions alone. The SALC therefore, offers a wide range of learning environments, materials and professional language learning support. These provide chances to students who wish to supplement their classroom language learning, seek help with their language learning, or pursue language learning goals independent of their mainstream studies. In order to facilitate these types of learning the SALC offers bright, modern spaces specifically designed to cater to the wide-ranging needs of groups and individuals. To help facilitate learning, the SALC houses a rich selection of resources including books, games, CDs, DVDs and software. Assistant managers and SALC student staff provide help with photocopying, borrowing and returning SALC materials, making reservations to use SALC facilities and making appointments with learning advisors. For language learning and more specific education related matters learning advisors are available to students and can answer questions and provide advice on many aspects of language learning such as: improving basic English skills, homework tasks and activities, how to study English more effectively, the best materials to use in the SALC, and getting higher test scores. BECC recognizes that among non-English majors not all students are willing to get involved in study based activities and some may even genuinely fear entering an English only environment. In order to reduce stress levels and provide extrinsic motivation for students we run activities designed to provide a fun and non-threatening introduction to the BECC, BECC SALC, its staff, materials and infrastructure. The BECC and BECC SALC assume responsibility for the design, maintenance, and research-based renewal of all SALC and curriculum materials for courses from the General English program, and a number of Global Communication and Language Department courses. All teachers and learning advisors are assigned to one of the BECC’s “Curriculum Renewal projects”. These are collaborative projects led by a Team Leader and typically consist of 3-4 people. These projects are concerned with the systematic development and trialing of instructional materials to be used within and/or outside of the classroom, and research into practices surrounding the use of these materials, assessment, technology, or self-access.